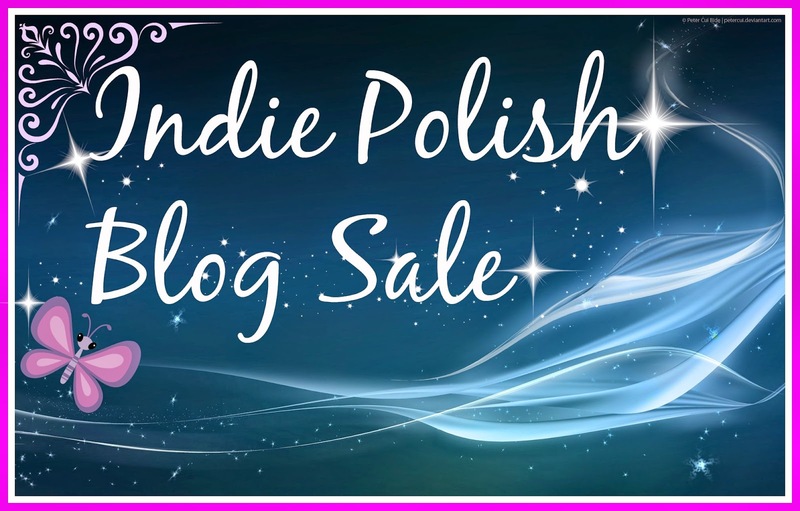 OK, this is purely a Indie Polish Nail Polish blog sale, i hope you can find something that tickles your fancy! 2. All payments via paypal -gift if possible, or if invoice is required (or pay by goods and services), fees will be added. 4. Please do not send your payment until you have received a confirmation from me. 5. Once the item(s) are confirmed, the payment is due within 48 hours. An item not paid for within 48 hours will be cancelled or re-listed without notice and may go to the next person who requested it. If circumstances change (its life! ), please just let me know, rather than ignoring me - id rather know, than be ignored, and may be able to work something out with you. 6. Posting starts at £3 for up to 12 polishes via a courier service with a tracking number. After that it will be only increased by weight. I do not charge for packing materials, time or petrol as some others do. 7. Items will be sold on a first come, first serve basis. Serious buyers only, please! 8. All sales are final. No returns, exchanges, or refunds for any reason. 9. I am not responsible for any packages that are lost/stolen/damaged. I unfortunately have no control over what happens to each package after it leaves my hands. Please note, these are all either brand new (NEW), swatched on a nail wheel (1sw) or one 4 finger (4fm) full mani (1 mani). 10. I reuse packaging materials when possible. 11. I am open to swaps, but i will be quite picky as you can see I've got alot of bits to sell, and at good prices, but am always open to look. A sure fire winner would be Indie Nail polishes, or HTF polishes...but feel free to offer, i can only say no! As long as you're happy with the above, feel free to browse, and i hope something takes your liking! I would advise to google colours, the pictures don't show them up very well! Any questions please ask! There will more than likely be more added in time! Doing it slightly different this time, as it is a HUGE destash. I have put pictures onto my SALE BOARD on Pinterest. These ARE NOT pictures of the bottles you are buying, but i am more than happy to provide pictures if you need them, so please let me know! It is a case of first come, first served I'm afraid, and please be aware, that this is cross posted, so a polish MAY have been taken and i haven't managed to get to the board as yet. Ill try to be as swift as i can in marking them as SOLD. Normally, i am happy to hold. However, having held items and been let down a few times, my new policy are that I will hold polishes AS LONG as you are happy to pay for them (in the case if you are looking at more, and waiting for extra funds and want me to put a few to the side and will then put hold on some on the board), or a small non-refundable deposit to hold the ones you would like. I will put them aside for you, so you can continue to look at the updating board to see if you want to add anything. Apologies, but i have been stung, so this is the only way i will do it this time! If you wish to buy any - please email me as stated above or send me a message on my personal facebook page if you know me - do not leave messages here, on Pinterest or on the blogs FB page as they will be most likely overlooked. Thanks for looking, and for rehoming any pretties that are at the moment going unnecessarily unloved! !